How much is that endangered fishy in the window? If you can’t get to the ocean and snorkel or dive, the next best thing for land-locked wildlife lovers is to watch beautiful bright fish swimming around a salt-water aquarium. For kids of all ages, aquariums are true wonders. A living, breathing art and science show– those flashy colors, exotic shapes, interesting behaviors and cool demeanor as the fancy fish swim around inside their glass homes. And some exotic fish are downright trendy. 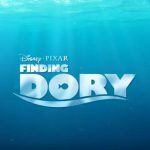 The latest is the Blue Tang, the star of the hit Disney animated film Finding Dory. The cute talking fish has animal-rights and marine conservation advocates concerned about a potential up surge in wild Blue Tang captures to supply pet stores. If the response is anything like it was with Finding Nemo and clownfish, we’ll see a lot more of these blue beauties in home aquariums soon. 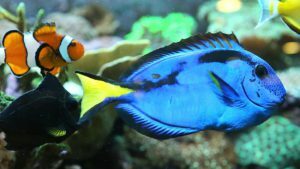 Blue tangs may be a victim of overfishing already, and the popular film is bringing awareness to the problems in the ornamental fish trade that the blue tang represents. Humans have been keeping fish for pets for ages, a tradition that goes back to ancient Egypt and China. The United States and Europe are the biggest markets. Most pet fish are either fresh-water caught or bred in captivity, the remainder are wild-caught marine fish and other species captured to create aquarium ecosystems. Unlike the Nemo-inspired clownfish, the blue tang apparently doesn’t do well in captivity. 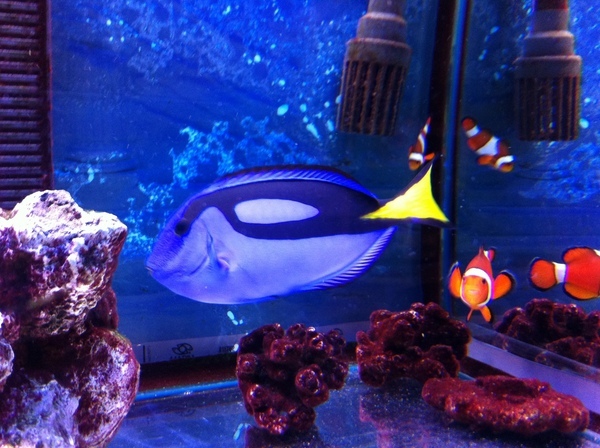 Blue tangs don’t thrive off typical fish food, their diet is marine algae off of coral reefs. And the way the fish are captured can damage coral habitats. While it’s unknown how many blue tangs are caught for aquariums, some fishing practices used to capture them, such as cyanide spraying to stun the fish, are destructive to coral habitats and other nearby invertebrates. These practices are also illegal. A U.S. wildlife law known as the Lacey Act makes it illegal to import into the U.S. any blue tangs that were caught illegally in another country, but the trade isn’t well monitored. Despite the laws, cyanide stunning is still a problem in the industry in the Philippines and Indonesia, the source of more than 80 percent of saltwater aquarium fish imports. Blue tangs are also at risk for localized overfishing in these markets. Even if not illegally caught, some argue that wild-caught pet fish help local economies. The market is strong since tropical reef saltwater fish like blue tangs are challenging to breed in captivity, unlike fresh-water fish. And some specimens can fetch as much as $90.00 per fish. 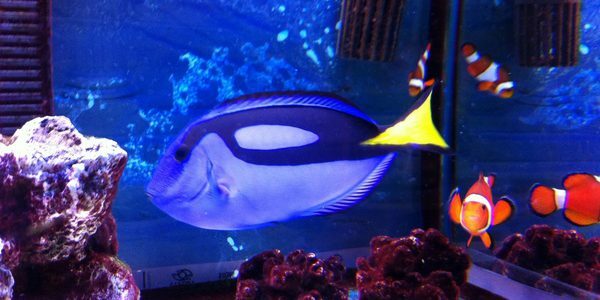 Blue tang “Dory”s have never been successfully bred in captivity – until now. Last month, a university aquaculture lab in Florida in conjunction with the organization Rising Tide Conservation announced the first first blue tang bred in captivity. 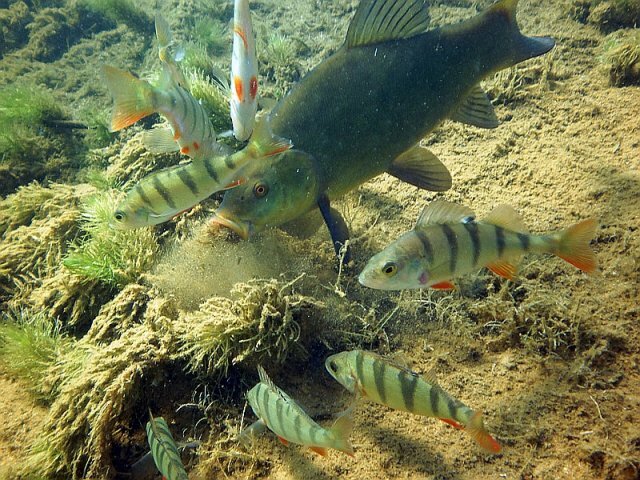 Breeding wild fish is a complex process. The first challenge is getting the parent fish to spawn in captivity. Then breeders need to keep the baby fish fed. Blue tang eggs are spread into the water, where they journey more than a month before they finally settle onto a reef. At each stage of development, the fish require a specific kind of food. The other challenge is financial. 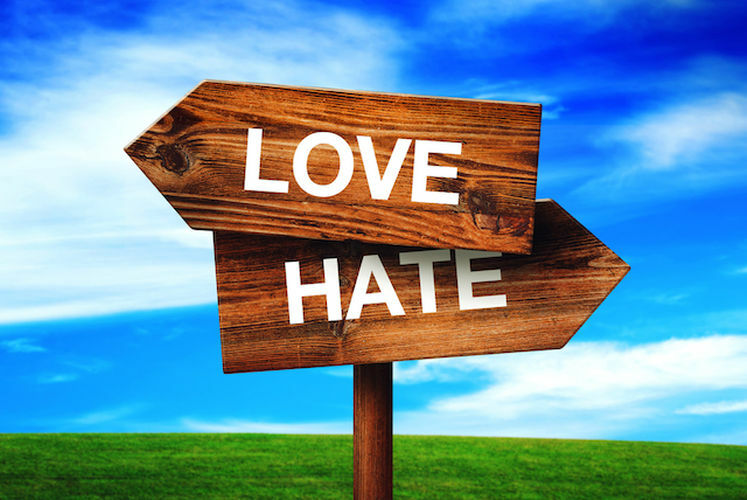 Most wild fish are often quite inexpensive, so the cost of building up a successful commercial breeding program can be prohibitive. This new breeding success and the film’s popularity has conservationists hopeful that blue tangs will follow in the footsteps of another favorite saltwater fish, the Banggai cardinalfish, which is now aquacultured. This is in large part due to concerted efforts by pet store brand Petco and its supplier, Quality Marine, which sacrificed short-term profits to promote the captive-bred fish by pricing them competitively to the cheaper wild-caught ones. Some organizations such as the group Sea Shepherd have launched efforts such as the Reef Defense campaign to stop the collection of reef fish altogether for aquariums. If the blue tang breeding takes a similar path as the Banggai cardinalfish, these campaigns have more of a fighting chance to succeed. That’s good news for the reef habitats that depend on them. But it will take more data collection, monitoring and enforcement to manage the multimillion dollar collection and export business to ensure fish like the blue tangs of the wild are sustainably caught.